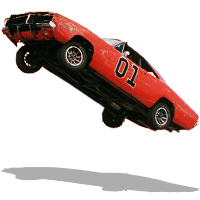 IMCDb.org: 1969 Dodge Charger R/T 'General Lee' in "The Dukes of Hazzard, 1979-1985"
Seul point negatif,le drapeau sur le toit! Il s'agit de la DODGE charger 1969 ! un monstre de puissance ! Pas muscle car pour rien la bête ! Com on, this has to be 5 stars, I mean this is the General Lee! 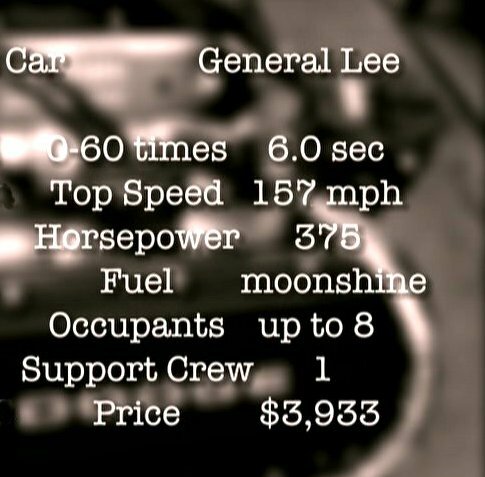 From a short film on the DVD box set .. there is info on the General Lee ... and it says the car is a Dodge Charger R/T 440 (..Not a 426 hemi) ...it also says... Zero to 60mph in 6 seconds and a top speed of 157mph.! The following 5 pictures are from the dvd extra's.! "stronghold" is correct when he said "the" General Lee has a 440. Although the show never actually said what the General had in it, it was never even implied that it had a Hemi. 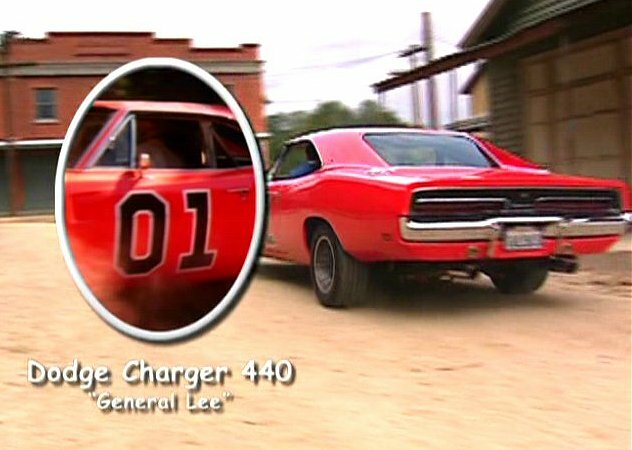 And in one episode ("Happy Birthday, General Lee"), they show the motor that was supposed to be in the car, and it's a big-block wedge motor, either a 383 or a 440, but most certainly NOT a Hemi. In reality, most of the stunt cars were 318 cars, with a handful of 383s and 440s thrown in. And before anyone starts thowing out figures on how many cars they used, there were 229 cars total, 19 survived after filming wrapped up in 1985. I got this straight out of "Enos's" mouth, as the actor who portrays him, Sonny Shroyer, lives in my hometown. Even the "close-up" cars that the actors actually drove were both 383s. And according to the General Lee fan club, who found and saved the very first General Lee, the first General was originally just a 383 2-barrel base-model Charger, not an R/T 440 or an SE. Yeah, I saw that episode. The black car that was to be the General looked pretty basic. I think it even had a column-shift automatic. I thought that R/T's are supposed to have 440 horsepower. trucker wrote I thought that R/T's are supposed to have 440 horsepower. you have confused cubic inches with horsepower! ..440 is the cubic inches ...not the BHP.! ...440ci is 7210cc (the Hemi 426ci is 6981cc). From what i've read (lots of books.!!) the 440ci engine was a much better..more reliable engine than the 426ci. Quoted horsepower for the 440 is usually around 390bhp & the hemi rates at 425bhp. Don't get me aggravated son! The general lee was portrayed as having a 383 cubic inch V8 engine (4-bbl version rated at 335 hp), backed up by a Torqflite A-727 automatic transmission. Just thought Id clear a few things up. There's no reason for imitation. 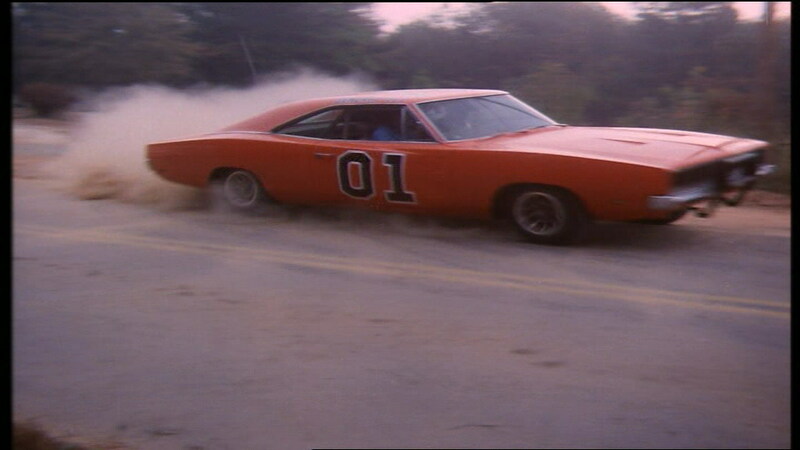 In the episode the Dukes meet Cale Yarlbrough, they used a 1969 White Dodge Charger with a computerized engine adding a little nitrous to it. I wonder what's the top speed of that White Charger? 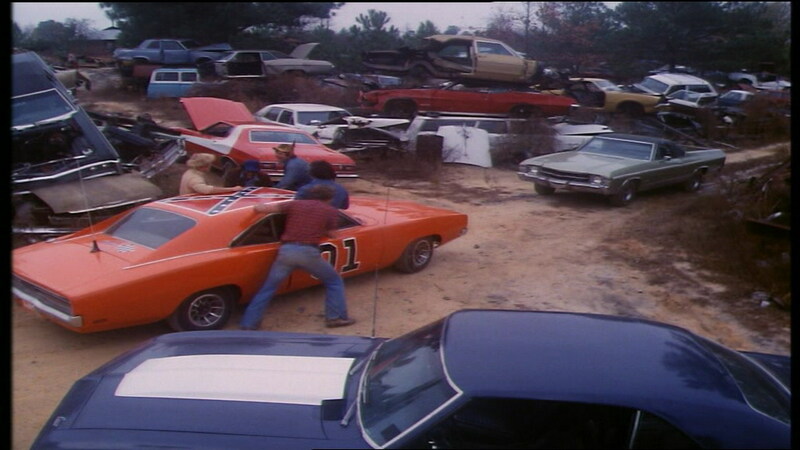 They also say that there were 339 General Lee's used in the season, but only 19 or 20 survived. I went on the Warner Bros studio tour in 1998 and sitting in a garage was what the tour guide said was the last remaining General Lee. 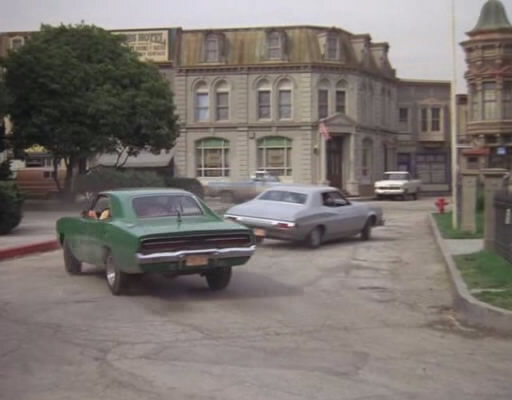 Presumably it wasn't the fan club's one, but perhaps it was the last one still owned by Warner Bros.
trucker wrote In the episode the Dukes meet Cale Yarlbrough, they used a 1969 White Dodge Charger with a computerized engine adding a little nitrous to it. I wonder what's the top speed of that White Charger? ...Nitrous can make a hell of a difference.! (..an episode of Top Gear proved this point very well .. pitting an old Jaguar XJS ...firstly without Nitrous (...then with Nitrous) against some of the worlds fastest cars. With it's first run... It was virtually left standing ... but with Nitrous on it's second run ..it could beat ALL the new Supercars.! HEMI was built especially for NASCAR (reason,why it's just 426 ci),and 440 for MOPAR fullsizes. BA DA DA DA DA DA DA DA DA DA DA DUM! The 426 Hemi was underated for insurance purposes. It dynoed between 489 to 511 hp depending on which year and which cam was in it. It would stomp a 440 on the top end as well as anything else that Ford or gm put out. Just wonder why all the Ford and gm Funny car and Top Fuel cars run Hemi's instead of there own engines? i dont care what the General Lee had in the show, mine's got a 605 cubic inch Racing Hemi. Lets see the Double Zero beat that! 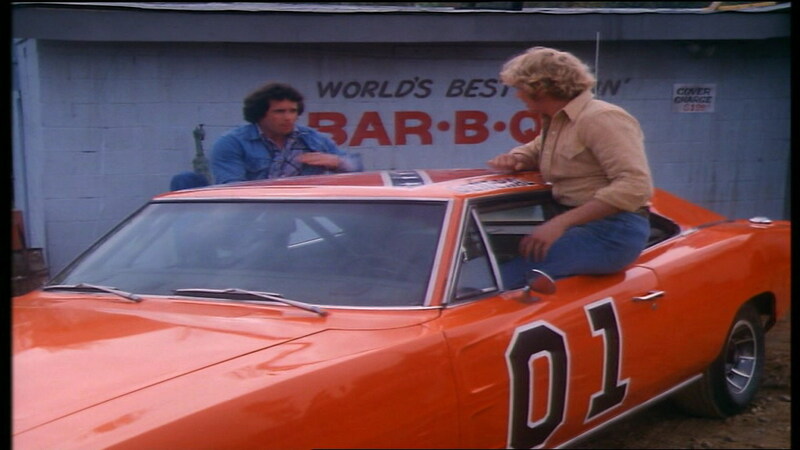 GENERAL LEE wrote i dont care what the General Lee had in the show, mine's got a 605 cubic inch Racing Hemi. Lets see the Double Zero beat that! ..Well i'm affraid in the imaginary world of Television ...The General was unbeatable & indestructable .... you can't beat it ...whatever you've got.!! You guys want the final word on Chargers, engine sizes and rated horsepower? I have owned 4 1969 Dodge Chargers, 2 of which were R/Ts, as well as countless other Mopars, so I should know (I currently have a Roadrunner, a Charger SE, a Charger R/T, and a base model Charger). The 1969 Charger could have come with the 383 2-barrel (280-300 horse), the 383 4-barrel (335 horse), and the R/T would have had a 440 4-barrel (375 horse), or the 426 2x4-barrel Hemi (425 horse). The Hemi was still the king, but the 440 would hang with it for a while, but the Hemi did require constant tuning to keep the carburetors is sinc and the valves adjusted, as it still had mechanical lifters in 1969 (they started putting in hydraulic lifters in 1970). 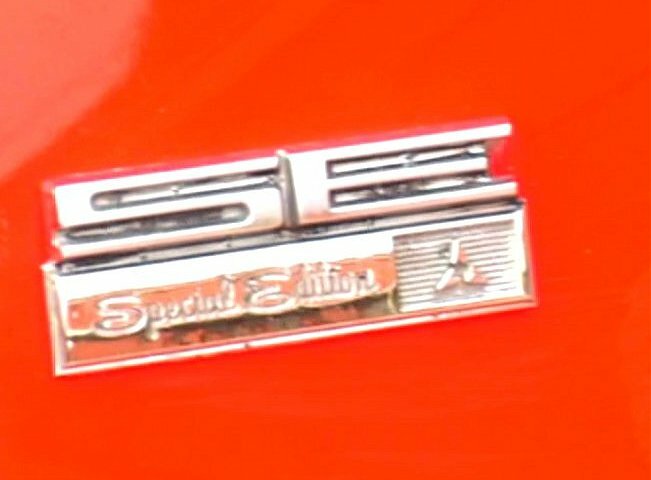 The 390 horsepower designation is for the 440 Six Pack, which became available for the Chargers in 1970. No matter what anyone says there are NO factory 1969 440 Six Pack Chargers. The Six-pack was available for 1969, but only in the A12-coded, fiberglass hood Super Bee and Road Runner. As I stated before, according to "Enos" Sonny Shroyer, there were 229 Generals total. 19 survived, 17 were sold, WB kept 2, a running car and the sound stage car. One of them is a 1969, the other is actually a 1968 made to look like a 1969. I am not sure which is which. Arguments? Quote The 1969 Charger could have come with the 383 2-barrel (280-300 horse), the 383 4-barrel (335 horse), and the R/T would have had a 440 4-barrel (375 horse), or the 426 2x4-barrel Hemi (425 horse). The 1969 Charger WAS NOT available with the 440 Six-Pack, the only 1969 cars available with this motor are the A-12 coded Roadrunners and Super Bees, no Chargers. Not until 1970, when the 440 Six-Pack was available on pretty much any car in the line up, from Chargers to Sport Fury GTs. doesn't these pics look too flat for you? 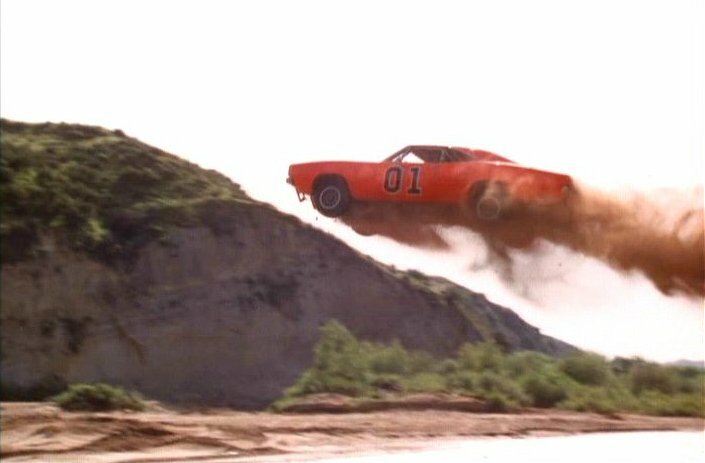 Back in the mid-1980's Warner Bros. had a full-size General Lee Charger replica perched on the side of the studio wall on top of a billboard for the Dukes of Hazzard TV show. It was one of the first things I remember seeing when I moved to Burbank. 605?? wtf kind of motor is that? i guess me and the general here have something in common. That's something that car guys...especially Mopar guys...will likely argue over until the end of time. The problem is, Chrysler built Hemi cars in a poor state of tune, for reasons unknown. But it was always known (and proven many times over today) that switching to colder spark plugs, significantly advancing the timing (30-35 degrees), and rejetting the caruburators resulted in HUGE horsepower gains, and as much as a full second in the quarter mile...plus fix the Hemi's horrible habit of burning plugs. As a result of the poor state of tune Hemis were delivered in, many times stock 440 cars were quicker. But here's where it gets tricky...many dealers KNEW about the horsepower gains that could result from basic tinkering, and would perform these tricks to their cars on delivery, prior to sale (the infamous Norman "Mr. Norm" Kraus, who sold a large percentage of all the Hemi cars manufactured, allegedly did this to every Hemi he sold). So lining up against a Hemi car back in the day was something of a crap shoot...it could be a low 14 second (1320) factory car with a choppy idle and soft throttle response, or it could be a hard-running street killer, capable of burning the factory bias plies to the tune of 13 seconds flat. Of course, once you got into real modifications, Hemis were very responsive. The television series "American Musclecar" not long ago did a dyno test of a Hemi that was mostly stock, save for a 0.60 overbore, a factory Race Hemi camshaft, and modern Holley carburators in place of the old Carter AFBs...it made 820 horsepower at the crank. Its funny to see how much you guys really think you know about this car. First and formost, the car on the billboard is infact a real general lee that was retired. 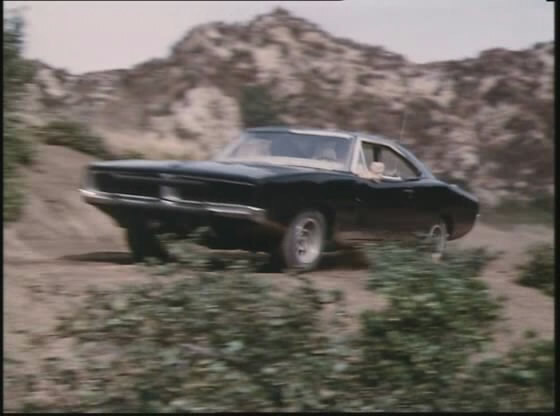 No Hemi car was ever used in the entire run of the show. there were NOT 330+ Chargers used for the series. 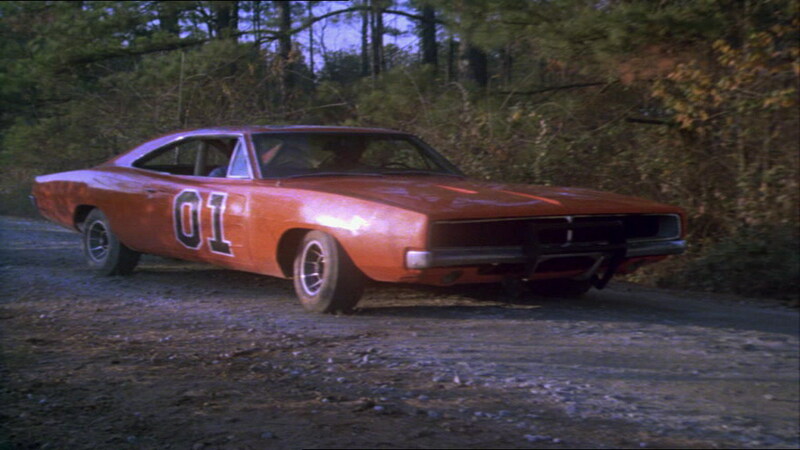 In 1998, there were TWO actual General Lee's left from the series. One "hero" car and one rough stunt car. 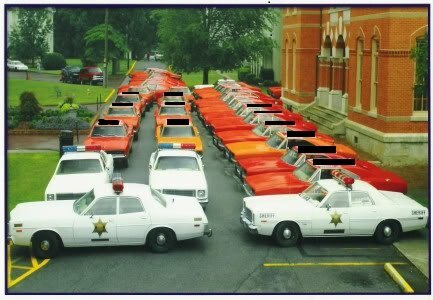 There are 17 fully documented General Lee Chargers that are privatly owned, and chances are, that if you know somebody who knows somebody who knows somebody who used to have a real one from the show, they are full of crap.. 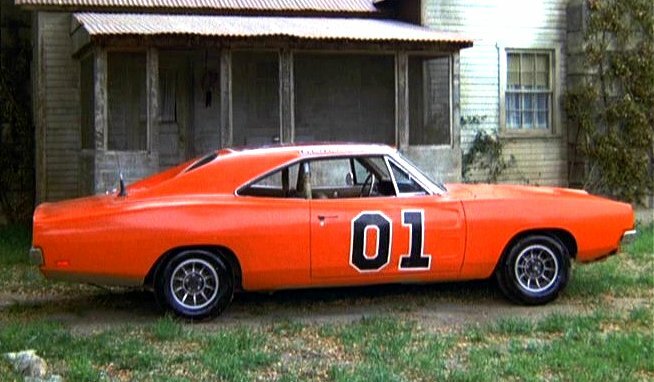 The "First" General Lee that is mentioned earlier in this thread is not fully the "FIRST" general lee. It was what was LEFT of the first GL, rebodied on to another charger, and is for sale right now for 7 figures. It is not owned by this "General Lee fan club" that was mentioned. The idiot that runs (or should I say USED TO RUN)) that club is a lying idiot. This LEE 1 is privatly owned as well, resides in FLorida, and will probably go to the first person that hands over the cool milliion that they want for it. dont get your hopes up, pretty much everything that made it authentic has been replaced, so it is nothing more than a mere replica. LOL, and, NO..the Charger was not optioned with a 6 pack in 1969. Actually, Lee 1 WAS owned by Travis Bell, head of the North American General Lee fan club. He and Gary Schneider found the car in Georgia in 2000, and went back and bought it, all smashed up and rusty, in 2001. At that time it was still painted like the #71 car, the "wrecked Richard Petty car" from the fourth episode "Repo Men". Then later the car was sold to Marvin Murphy, a noted collector from Florida. He and Mr. Bell are the ones who decided to have the car restored. And although a lot of the car was replaced, they replicated it as close as humanly possible to the way it was before it was jumped. It even still retains it's original glass, motor, trans, and rear end (center section). Genuine Wolo 430 Dixieland air horn sets just like the General Lee. I've looked at the Faqs and can find no problem with posting a commerical link. Administrators, notify me if this is a problem. 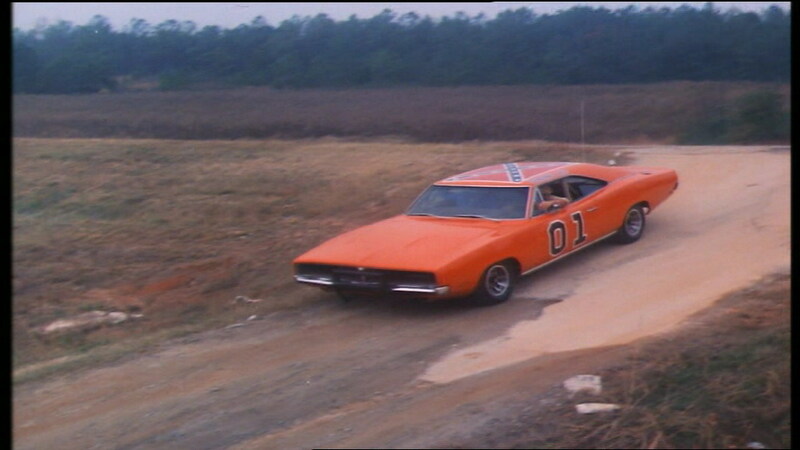 does anyone know where to find some good pics of the 4x4 General Lee from "Arrest Jesse Duke"? moparguy1973 wrote "stronghold" is correct when he said "the" General Lee has a 440. Although the show never actually said what the General had in it, it was never even implied that it had a Hemi. 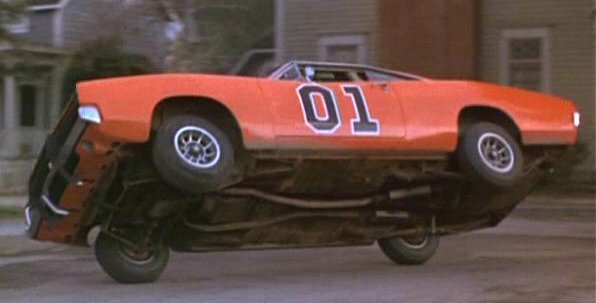 And in one episode ("Happy Birthday, General Lee"), they show the motor that was supposed to be in the car, and it's a big-block wedge motor, either a 383 or a 440, but most certainly NOT a Hemi. In reality, most of the stunt cars were 318 cars, with a handful of 383s and 440s thrown in. And before anyone starts thowing out figures on how many cars they used, there were 229 cars total, 19 survived after filming wrapped up in 1985. I got this straight out of "Enos's" mouth, as the actor who portrays him, Sonny Shroyer, lives in my hometown. Even the "close-up" cars that the actors actually drove were both 383s. And according to the General Lee fan club, who found and saved the very first General Lee, the first General was originally just a 383 2-barrel base-model Charger, not an R/T 440 or an SE. Sonny Shroyer might have said once that there were around 229 Chargers used during the course of the show, but on the First Season DVD extras all of the cast (with the exception of Tom Wopat and those who had since passed away) was at the 20th Anniversary Hazzard Barbecue. This question was brought up and all the cast, including Sonny, had guesses--and I don't remember Shroyer's being this number. But, from all the guesses thrown out Ben Jones ("Cooter") stated that he knew the true number even though over the years people have said numbers ranging from 200-400. Straight from "Cooter's" mouth, Jones stated as a fact there were exactly 309 Chargers used during the seven seasons the show aired. Most of the Chargers were true 69's but there were some 68's modified to look like 69's. Even though most of the Chargers probably didn't have the 440, I think you were supposed to assume and/or think the General Lee did. In reality...each person probably thinks they're truly accurate on the number of Chargers used. You would think actual actors from the show would know...but they each differ as well. Even the post above this has a different number of cars left over after the show was done--someone says there were 19, another says 17. Who really knows anymore?? The only reason I tend to believe Ben Jones, is that in the interview he was very technical and factual and did not act like it was a guess or estimate. He stated that there were exactly 309 cars used over the course of the show. 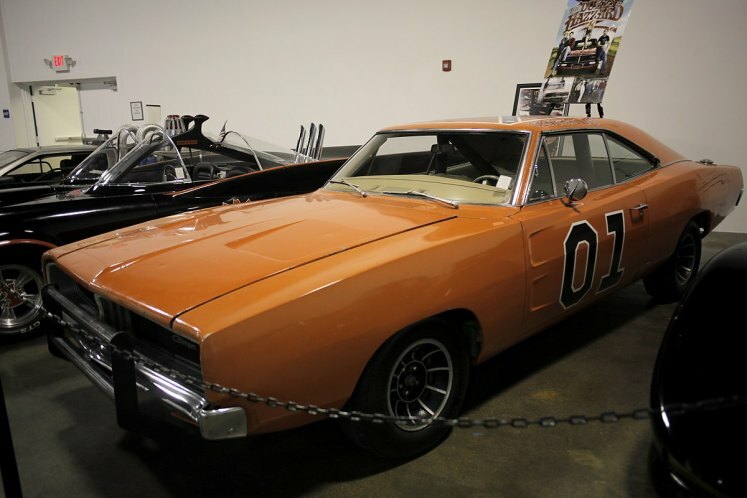 An original General Lee, with authenticity supported by John Schneider and George Barris, is one of the vehicles being auctioned at the Petersen Museum next month. Here's an update to my previous post about the number of General Lees. I read an article about the building of the original Generals, here's what it said; Warner Bros. built the first and some of the second season Generals, after which it was sub-contracted out to the Veluzat Bros. movie car business. Warner built 80 Chargers. The Veluzats built 229. Which gives us a total of 309. 19 survived after filming ended. 17 of the 19 were sold off to fans through a shell company set up by Wayne Wooten (The Dodge Charger Registry founder) and his lawyers. The article said this was done to limit Warner's liability. Warner kept 2 of the cars, one close-up car and the soundstage car. Keith Winfree, one of the lucky to end up with a "real" General wrote a pretty cool story that can be seen here: http://pages.prodigy.net/tcwinfk/general.html . This makes sense and explains how there were 309 Chargers used. Awesome story by Keith Winfree about his General---I'm jealous! LOL! Wonder what happened to the others...do those people still have them and were they restored? 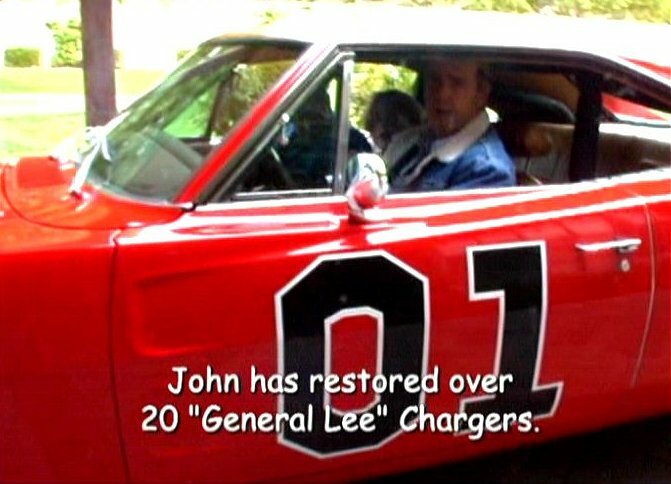 I talked to Ben Jones (Cooter) about the General lee's he said that he used to frequently talk to the Mechanics and there were exactly 309 Chargers, some column shifts, some slap sticks, some 318 cars some 383 cars and a few 440 cars, they used both '69 and '68 chargers. DWC43 is right about the Hemi being understated for insurance purposes. Did anyone see Hot Rod TV on Speed Channel? They had an entire episode dynoing ALL the old muscle car engines. Stock bore, stroke, valves, cam, etc. The Hemi layed around 800hp. Granted this is to the flywheel not to the ground, but still way more than they ever claimed it to be. 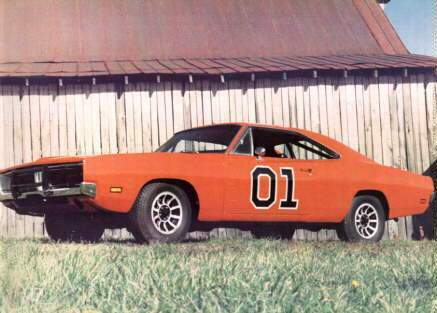 Is it true the General Lee was actually Hugger Orange? @ moparguy1973 Actually, there was one way I know of that you could get a 440 Six Pack in a '69 Charger back then. I've read that if one were friends with a dealer, they could get the dealer to swap out engines with one of the Roadrunners and Superbees you mentioned. Yeah, that's pretty much been discussed. There were all kinds and/or models of 68 and 69 Chargers used on the show. All were modified to be the General Lee. Sometimes you'll notice the R/T on the General's left-side headlight grill cover...other times you don't. There were even different colored dashboards and steering wheels. There were the beige or tan ones like I sort of mostly remember, but sometimes the dash and steering wheels were black too. Sometimes the steering wheels had that separate chrome piece attatched to them in the middle (the horn?? ), and others did not. Some dashes had cracks and the steering wheels were (as Rosco would say ) pretty scuffed up. Other dashboards and steering wheels were in better condition. Besides the changing color, once in a while you'll notice different styles of steering wheels as well. Back then not that many people, especially kids, seemed to notice things like that. You just went with it and enjoyed the episode. Now days, everyone is into finding the "goofs" and mistakes of everything. Sometimes it's funny or interesting to have those quirks pointed out...other times it sort of ruins the original impression you had from it. 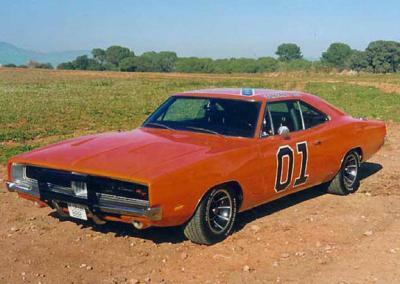 But, I refuse to let the inconsistancies of the General Lee ruin the "Dukes" for me! The car, characters, and the series itself will always be one of the best and awesome shows in TV history! 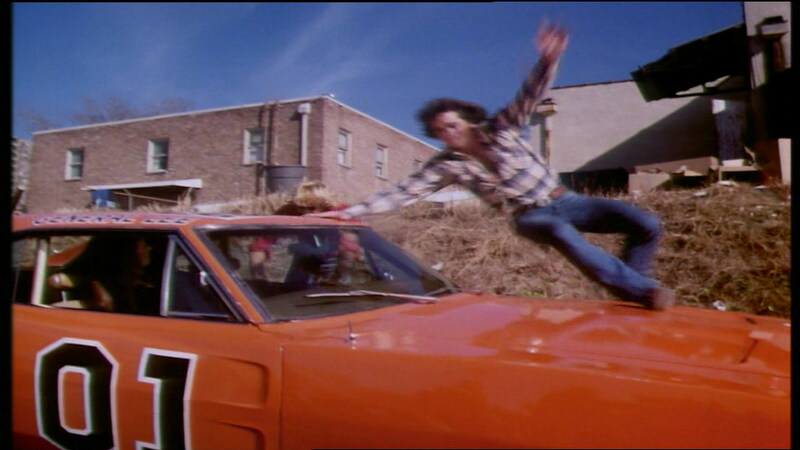 Long live "The Dukes of Hazzard" and the General Lee! Is it true that some of the General Lee stunt cars were actually 1968 Chargers with taillights replaced and other camoflage? I think that Charger can't hold 8 passengers. Only if three of the would be in the trunk. Not just some of the stunt cars were '68s, I've got photos of '68 Chargers being used as beauty cars too, or at least having '68 front fenders with circular parking lights. - GMC Sierra from "The Fall Guy"
- Coyote from "Hardcastle and McCormik"
- Corvette C1 and Sikorsky S-58 from "Riptide"
moparguy1973 wrote Here's an update to my previous post about the number of General Lees. I read an article about the building of the original Generals, here's what it said; Warner Bros. built the first and some of the second season Generals, after which it was sub-contracted out to the Veluzat Bros. movie car business. Warner built 80 Chargers. The Veluzats built 229. Which gives us a total of 309. 19 survived after filming ended. 17 of the 19 were sold off to fans through a shell company set up by Wayne Wooten (The Dodge Charger Registry founder) and his lawyers. The article said this was done to limit Warner's liability. Warner kept 2 of the cars, one close-up car and the soundstage car. Keith Winfree, one of the lucky to end up with a "real" General wrote a pretty cool story that can be seen here: http://pages.prodigy.net/tcwinfk/general.html . I can't get the link to work... I love the General. No matter what people say or show inconsistent about it. I grew up watching it and will always watch it. If anybody has a link to the story by Keith Winfree, I'd really love to give it a read. are ypu really that much of an idiot !! 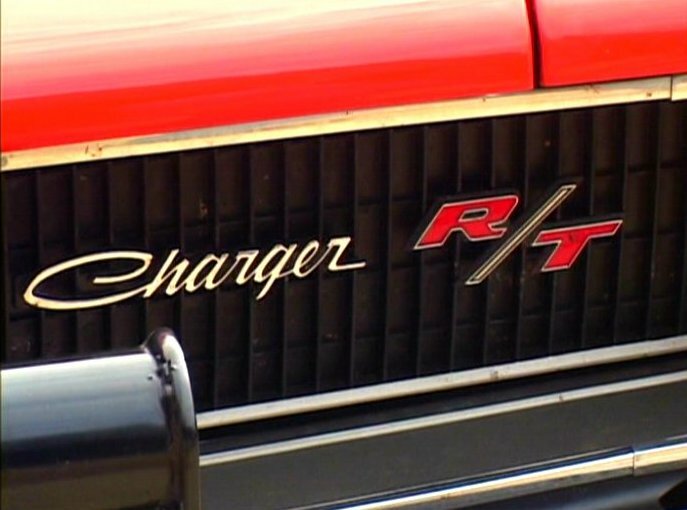 I thought that the Duke boys used a stock charger & not an R/T. 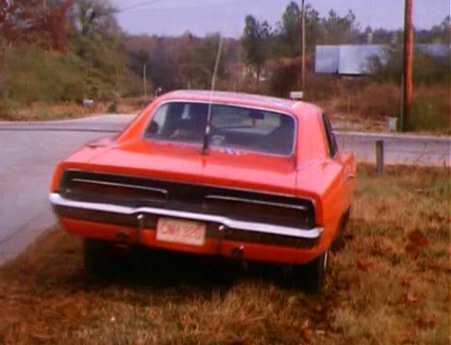 I distinctively remember seeing a close up of the rear end in one episode & you can clearly see the outline and shading of the word 'charger' between the tail lights. If it was an R/T, it should of had an R/T badge outline there. The badge was removed for obvious reasons, but you could still see the exact placement. Is the main even a real screenshot? Still the one from 2004. Change to one of Gliffhanger's or wait for better? Wait for better. I have them on DVDs if we need, but they are at home, and I'm still away. Page generated in 0.390 sec.